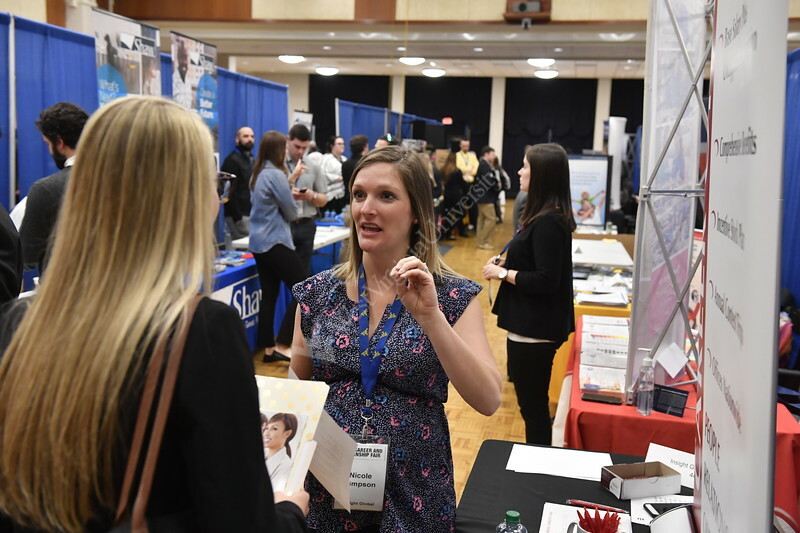 Career Services hosts its Career and Intership Fair February 2nd, 2017 in the Mountainlair on the Downtown Campus. Students were invited to speak wtih recruiters from local and national companies regarding jobs and internships upon graduation. Career Services hosts its Career and Intership Fair February 2nd, 2017 in the Mountainlair on the Evansdale Campus. Students were invited to speak wtih recruiters from local and national companies regarding jobs and internships upon graduation.